The culture gap between marketers and today's progressive new media consumer continues to expand in ways that suggest the current era of radical behavioral disruption is far from over. Today's hyperbolic social news cycle, saturated with Snapchat filters and Brexit remorse, fuels this reality by absorbing massive amounts of audience time and attention. As the dust settles in this post-apocalyptic, mobile-first marketplace, the time for radical acceptance is here. Brands, publishers and content creators are now faced with the inevitable truth that engaging audiences predictably in this fractured media environment has been permanently altered. That said, it's in these unique moments of reflection where brilliance can emerge. It's time now to reset and reimagine the future of storytelling through mobile experiences that are emotionally immersive, culturally aware and embrace a renewed spirit of creative invention and curiosity. In virtual reality we may have already found the next great storytelling canvas, enabling an entirely new interpretation and expression of the brand experience. VR is already proving to be a big business—in Q1 2016 alone, more than $1.2 billion was invested in VR tech, according to TechCrunch. And Forrester projects more than 52 million headsets will be sold in the U.S. by 2020. From a consumer perspective, the interest is clearly emerging. Google claims global search queries increased fourfold over the last year. Perhaps the biggest catalyst for growth and interest in the space was Facebook's $2 billion acquisition of Oculus in 2014—and we've already witnessed some of the outstanding early output in the form of 360 video experiences naturally integrated into the Facebook feed (e.g., SpaceX Rocket Landing). Of course, Google's innovations in the category are catalytic in their own right, effectively leveraging both Cardboard and YouTube (Tilt Brush) to scale user interest and adoption. So, with the fundamentals established, we're now on the verge of realizing the true promise of multisensory storytelling. And with it comes the unique opportunity to transform the relationship and overarching dynamic between brands and consumers. Not only does VR broaden the narrative spectrum in which brands can credibly captivate audiences, but it also offers the potential to close the culture gap by adding more depth, human emotion and interactivity to the storytelling experience. More than ever, humanizing the brand experience matters. 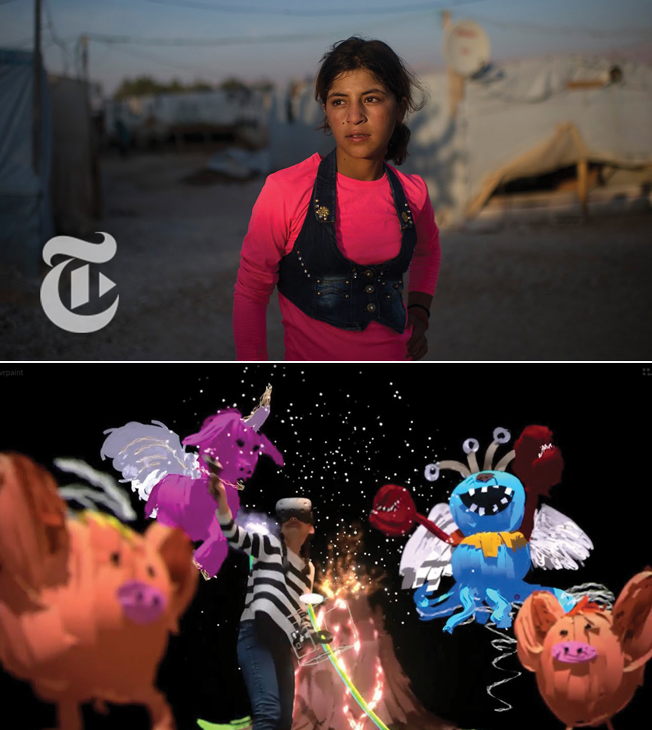 The New York Times' outstanding innovations and creative leadership in VR won the Cannes Mobile Grand Prix for work that includes the deeply moving documentary about the human toll of war (The Displaced). And while this victory has energized the modern journalism community, it also illuminates the limitless creative possibilities and storytelling viability. What other storytelling format today is better positioned to help build deeper levels of human connection, compassion and cultural empathy than virtual reality? In it, we have the opportunity to transform what was previously a one-dimensional (perhaps even transient) relationship between brands and consumers and deliver added story dimension, one-of-a-kind experiences and new cultural perspectives to better celebrate our shared values and interests. For brands, the temptation to explore the creative boundaries of this immersive technology will be more than challenging to resist. And while "empathy" has emerged as the new "authentic" in content marketing circles, the fundamentals remain the same: Respect your audience, deliver tangible value and clearly establish your editorial authority to best preserve the long-term vitality and integrity of the canvas. In the current state of modern media, where ad blocking and viewability have emerged as major challenges for the ad-buying community, the immersive nature of VR offers some unique advantages. That said, establishing a scalable (and seamless) ad model will be vital in ensuring ongoing investment and exploration. In my view, the most elegant path forward embraces a native marketing sensibility that emphasizes both context and creative. Plus, focusing on native content experiences allows for more organic social engagement. Today, VR experiences are primarily designed for the singular viewer, but imagine the endless possibilities of connected VR experiences (e.g., gaming, travel, education) that are location-adaptive, inherently interactive and feature familiar social mechanics that help fuel extended brand engagement. The astonishing success of Pokemon Go is perhaps the closest example of this emerging intersection of social engagement and augmented reality, leveraging real-world location intelligence to fuel a highly addictive virtual (and social) experience—and if the first few weeks of user interest and adoption are any indication, the concept is clearly here to stay. Although the marketing industry has long been focused on embracing the latest behavioral and technology trends, VR is proving to be a bit different. In VR, brands, publishers and content creators are leading the path forward through exceptional creative experiences that are transformative and energizing for audiences across the world. Moving forward, the marketing community has the unique opportunity to lead the next wave of behavioral disruption, and we may just find that VR could be the key in helping to close the culture gap. 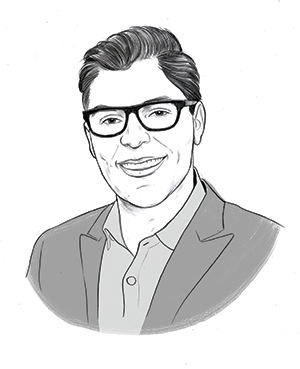 Gian LaVecchia (@gianlavecchia) is vp of client strategy and development for Verve Mobile.